very good and reliable Highly recommended . For more reviews look back here on other pages or click the stars to go to that review site. 265W ALEO German Made Solar Panels - used for 4 years from a company that closed down. 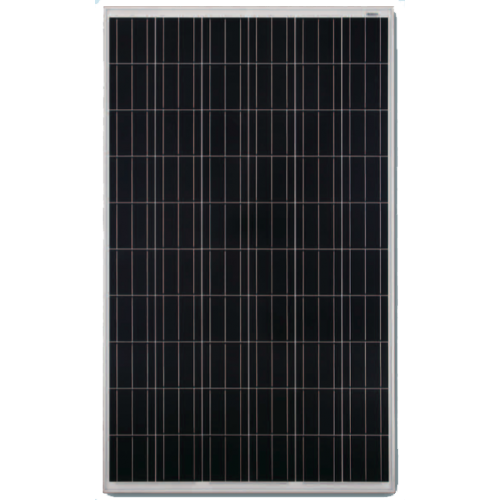 Due to the unique combination of components, the high-efficiency modules from aleo solar are particu- larly powerful. With the high efficiency, the aleo S18 offers maximum performance compared to the small overall area required. This also means: less effort and less material for installation. This increase in ef- ficiency and the long-term high energy yields of aleo S18 ensure efficient operation of your photovoltaic system. The quality of aleo modules is continuously tested and confirmed by independent institutes. aleo modules are sorted with a positive power classifica- tion. The performance is guaranteed by aleo solar for 25 years, the product guarantee is for 10 years. ie: 3 panels costs £36+vat delivery. Delivery service is an economy service that hand delivers fragile items on a weekly round across the UK. This is a safer more reliable and cheaper way for you to receive panels and saves on the huge amounts of wasted packing materials. Or you can collect for FREE from Nr Brighton. ​The XTRA tracer models have a current limiting function, you can connect twice the rated power to the controller ​so if your on a budget you can use a smaller controller with more panels so that you get more power in winter or low light but don't risk overloading the controller in the summer. The output will be limited to the max listed above. New EPEver (Tracer) series is EPsolar’s third generation of MPPT controller. XTRA series are advanced maximum power point tracking (MPPT) charge controllers, for off grid photovoltaic systems, with display unit. In order to maximise the energy harvest from PV arrays and simultaneously minimise the power loss within a wide range of operating conditions, XTRA series apply an advanced smart algorithm which results in up to 30% higher efficient charging, compared to a conventional pulse width modulation (PWM) charge controller. Xtra series controller have limit protection function on charging current &charging power, as well as auto derating power operation at high temperature; the above protection ensure the stability of system even at exceeded rated PV power and over temperature conditions. Protection class IP32 and isolated RS485 communication port further improve the controller’s reliability under different application requirements. XTRA series controllers incorporate a self-adaptive three-stage charging algorithm based on a digital control circuit, which eeffectively prolongs the lifespan of battery and significantly improve the system performance. It also has extensive electronic protection for overcharge, over discharge, PV&battery reverse polarity and etc. to ensure the sustainability and durability of the o-grid solar system. Set of 4 Aluminium mounting brackets for mounting solar panels on vans, boats, sheds or a wooden frame as a easy cheap solar framing system. 6mm Solar Cable - Price is per meter simply select the quantity as the number of meters you want. Affordable DC Breaker for 35mm DIN mount. Use with our DIN Rail as an easy and affordable breaker solution. For charge controller wire top pole to charge controller and bottom pole to battery. For Inverter wire top pole to battery and bottom pole to inverter. MC4 Solar Connector - Price is per MC4 pair simply select the quantity as the number of MC4 pairs you want. These are the standard connectors used on most solar panels. TUV certified, brand new, water /weather proof rubber seal that can ensure excellent electrical contact for life time service. The metal pin is made from high quality machined copper and sealed tip (compare to the cheap sheet metal pin) that can ensure excellent electrical contact for life time service. Build in press tabs for easy disconnect, no tool is needed. 25A max load. Wires should be crimped or soldered into the pins and care should be taken to get the correct pin into the correct connector. Once the pin is pushed into the connector it is difficult to remove without the correct tooling. Simple DIN mount rail 10cm long for DC or AC DIN mount breakers. Easy solution, simply screw the rail to the wall of your electrical installation and connect the breakers to it. Quick easy and simple solution to install breakers to your solar system. You can alter this kit to suit your needs, simply click the button below to add all the items to your cart separately, you can then edit your cart as you need. We are a small team and often with customers, so please always email first if possible, as responding to phone messages is always slower than email.